To see all Muve Featured Homes in Olympus Cove Click Here. Salt Lake City is quickly becoming a hotspot for young professionals looking to establish themselves in a high-end neighborhood. For homes that balance old-world charm with modernized style, all with a beautiful view of the slopes of Mount Olympus, consider OlympusCove for your new home. Olympus Cove hosts a wide variety of homes, with styles and decor that span across decades. These houses were all built throughout the 1920s to 1960s, so each one carries its own unique sense of nostalgia and connection to the past. These aren’t “old” homes, though. Despite their age and varying years of construction, they all share the same modern sensibilities, establishing a contemporary and cohesive feel throughout the neighborhood. 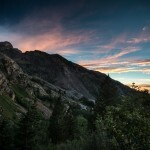 The surroundings of Olympus Cove are second to none. 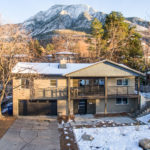 With a beautiful landscape that stretches from the mountainside, down the creeks of Mount Olympus and into the valley below, residents here will be consistently taken aback by the view. A home in Olympus Cove will doubtlessly have the best back yard you will ever have. But don’t be fooled into thinking that sitting on the side of a mountain means that you’ll be cut off from civilization. Quite the contrary. 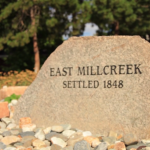 A quick trip down to the crossing of Mill Creek and Interstate 215 provides a gateway to the town’s communal amenities, including the Olympus Hills Shopping Center, Skyline High School and access to Mill Creek Canyon. Olympus Cove has all of your living, shopping, schooling and adventuring needs taken care of. Olympus Cove is an upscale community for young professionals, budding families and nature enthusiasts looking for houses in Salt Lake City. With homes built and designed across 50 years of history, and all the modern amenities a family or neighborhood requires, Olympus Cove is where the past meets the present for growing households with a taste for living large. Contact Muve Real Estate today to find a Salt Lake City real estate agent who can help you explore this neighborhood and its properties! A View of the West… & Mt. 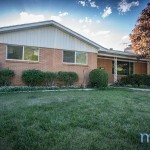 Olympus – Westview Dr.